Mainmarketafrica.com may update this Policy at any time. It is your responsibility to check for updates to this Policy, as your continued use of the mainmarketafrica.com services denotes acceptance of this Policy. Unless stated otherwise, mainmarketafrica.com’s current Policy applies to all information that mainmarketafrica.com have about you and your account. For the purposes of the Data Protection Act 1998 (the "Act"), the data controller is mainmarketafrica.com. To set up a mainmarketafrica.com membership, you are required to complete the registration process. This process requires you to provide certain personal information such as your name, email address, telephone number, company name and job title as well as information about your company such as country and industry sector. Mainmarketafrica.com may also collect user profile information such as age, gender, postcode, and areas which mainmarketafrica.com thinks may be of special interest to you. For the avoidance of doubt, members acknowledge and confirm that all information they supply in their member profile will be viewable by all Users of the mainmarketafrica.com website. When you send email or other communication to mainmarketafrica.com or another mainmarketafrica.com user, mainmarketafrica.com may retain those communications in order to process your enquiries, respond to your requests and to improve mainmarketafrica.com’s services. Mainmarketafrica.com may offer services in connection with other web sites or suppliers. Personal information that you provide to those sites may be sent to mainmarketafrica.com in order to deliver these services. Mainmarketafrica.com processes such information in accordance with this Policy. Mainmarketafrica.com collects and uses your personal and activity information, as described above, to operate and improve its services or to carry out the transactions you request. These uses may include making mainmarketafrica.com’s services easier to use by eliminating the need for you to enter the same information repeatedly, for research and analysis to improve mainmarketafrica.com’s services and technologies, to display customized content and advertising, to contact you in connection with your enquiries, surveys, your Account or to deliver promotional material, and to provide anonymous reporting to mainmarketafrica.com website owners. Mainmarketafrica.com will not share or sell personal information about you with third parties or non-affiliated companies except to provide the products or services you have requested. ii) Notwithstanding the foregoing, mainmarketafrica.com may provide your personal information to a subsidiary of mainmarketafrica.com, any affiliated companies acting under a confidentiality agreement, for the purpose of processing personal information on behalf of mainmarketafrica.com. These parties are required to process such information based on instructions from mainmarketafrica.com and in accordance with this Policy. They do not have any independent right to share this information. iii) Mainmarketafrica.com may share your personal information with a credit checking company or with a credit card processing company to bill users for mainmarketafrica.com’s services. These third parties do not retain, share, or store any personally identifiable information except to provide these services and are bound by strict confidentiality agreements which limit their use of such information. iv) Where mainmarketafrica.com believe that it is necessary to disclose such information to satisfy any applicable law, regulation, legal process or enforceable government request, to enforce mainmarketafrica.com 's terms and conditions and investigate violations thereof, to prevent, detect and address fraud, security or technical issues, or to protect against harm to the rights and property of mainmarketafrica.com and its users as required or permitted by law. 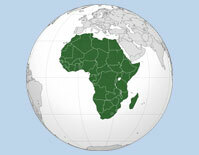 v) Mainmarketafrica.com may transfer Your Data if mainmarketafrica.com is acquired by or merged with another company. Mainmarketafrica.com will provide notice before this occurs and will post a new Policy if necessary. 3.1 To secure your personal information, access to Your Data is password protected, and sensitive information is protected by encryption when it is exchanged between your Web browser and the mainmarketafrica.com website. It is your responsibility to keep your password confidential and not to share this information with anyone. To protect data stored on mainmarketafrica.com servers, mainmarketafrica.com regularly audit mainmarketafrica.com's systems for possible vulnerabilities and attacks. Whilst mainmarketafrica.com will implement the security measures detailed above, transmission of information via the internet is not completely secure and therefore transmission via the internet is at your own risk. 3.2 Any information provided by you in connection with any transaction regarding your credit or debit card numbers, expiry date and billing or delivery address will be used by mainmarketafrica.com to process the transaction. These details will be stored on a secure server and may be used by mainmarketafrica.com to facilitate and personalize future transactions with you. 3.3 To remove all your details from future promotional communication from mainmarketafrica.com please email unsubscribe@mainmarketafrica.com and specify which details you would like removed and from what source. You must have the permission to remove other individual's data, if you are doing so on their behalf. Users have the right, by written request and on payment of a small fee, to a copy of any personal data (as defined in the Data Protection Act 1998), which we hold about you.